As the World Powers Ahead on Clean Energy, Will the U.S. Keep Up? Our partners have undoubtedly been following plans from the current Administration to slash funding for federal clean energy programs by 72%. Renewable energy, energy efficiency, clean transportation programs are on the chopping block. By contrast, let’s look at how the rest of the world is gearing up for the economy of the future. 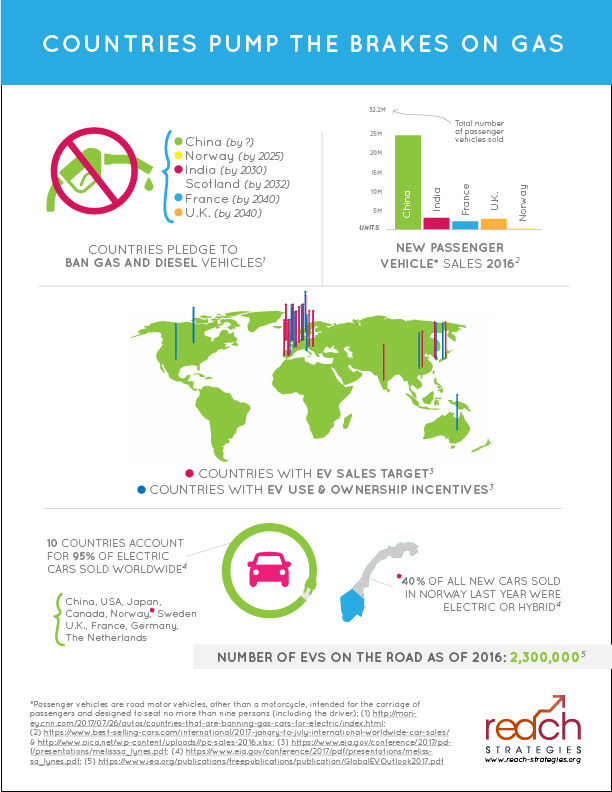 We recently produced an infographic for our partners on plans around the world to outright ban the sale of gasoline. The transition won’t happen overnight, but the rationale for the change is clear. Rather than wasting money burning fossil fuels, leaders are keying in on preparing for and winning the jobs and economy of the future. Clean air for everybody, better jobs for everybody, and a more sustainable and predictable economy for everybody is at stake. The wind energy industry alone created 100,000 jobs in America last year. Those numbers fail to tell the whole tale. 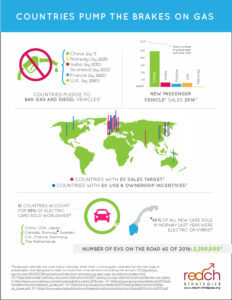 We see the transformation in our work with electric vehicles. The opportunity to locate new public charging installations across the landscape will reclaim otherwise unusable spaces and turn them into high productivity economic centers, with jobs ranging from electrical to construction to services to high tech coming along in the process. Clean energy is about jobs and winning the future. We can work together to win that future, and a federal budget process that reflects that thinking is among the good places for that to start. But let’s be clear – as important as it is to get our federal priorities straight, data from our work in the field with electric vehicle test drives and other clean energy initiatives underscore that hundreds of millions of Americans are not going to wait for progress on clean energy. With the rest of the world increasingly powering ahead on clean energy, there’s no turning back now.